A creature was stirring and starting to slouch. In hopes that St. Fandom would soon show his face. Steven Moffat appeared and bid her to rise! But a TARDIS, the DeLorean, and the starship Enterprise. Of superheroes, aliens, and even the library ghost. And everywhere you looked was an air of heartbreak. "Now, Samwise! now, Frodo! now, Kirk, Bones, and Spock! On, Harry! on, Ginny! and on, dear Sherlock! Now, Lorelai, Rory! now, Sam, Cas, and Dean! On, Hawkeye! on, Batman! and on, Rachel Green! Into the TARDIS, everyone, now! We've got much to do, more than time will allow!" After Aladdin and Jasmine, Rapunzel and Flynn. 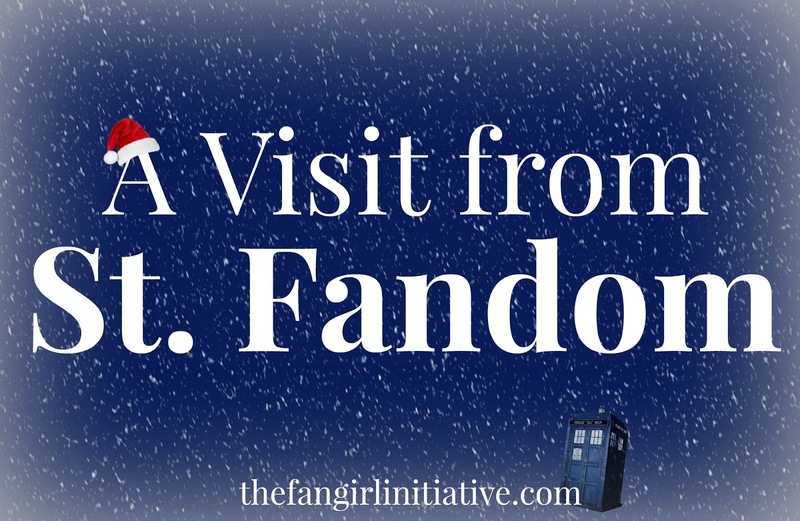 With a bag of emotions, and St. Fandom, too. A scuffle and a voice saying, "SHH! WE'RE UNDERCOVER!" When down the chimney St. Fandom came with a bound. They all were disgruntled and covered in soot. A packet of tissues and a tiny snow globe. Han Solo approached and kissed her instead. Then one by one out the window they climbed. Saw every character that was just on her lawn. Each face so beloved, each voice so distinct. "Happy bingeing to all, and to all a good night!" Merry Christmas and Happy Holidays from The Fangirl Initiative! This is delightful. Seriously, so clever. I gasped and giggled at almost every line.